Bertram George Meyer Boultwood was an early quality artist albeit the period he produced motoring art may be relatively short but he was prolific during his time with The Motor Owner. With help from his granddaughter Julie Boultwood I have been able to extend our knowledge of his times. He was born in 1881 in Kentish Town, London where he possibly attended the Mechanics institute (now Birbeck College). Probably this was to learn motor vehicle technology rather than art school. We know by 1901 he was a Builders Clerk and again it is not known if this was an artistic role such as architectural or building drawings. However, later in life he did such work. He still lived in London in 1911 as listed in the Census of that year. Before the First War according to a note in the Commercial Motor magazine he worked for Buick at Long Acre in London. Since this was principally the showrooms and offices of General Motors in London it is possible that he was in a artistic role. The few Buick advertisements of the time are hand drawn sketches of vehicles without any attribution. However, we also know he worked as a motor engineer and driver for the entrepreneur Arthur Du Cross who was also MP for Hastings. It was Du Cross who in 1909 in conjunction with the AA, had organised a convoy of 400 vehicles and troops from London to Hastings. 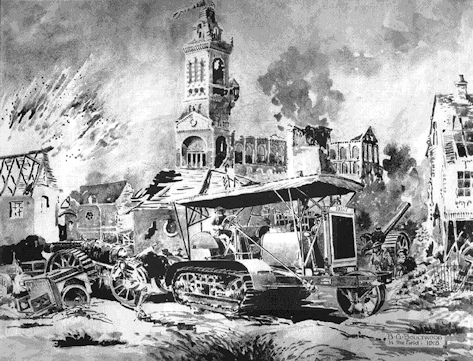 This had demonstrated the effectiveness of motor vehicles for rapid deployment of forces. Whether he was working for Du Cross in 1909 is not known. He signed up for war duties in Hastings in July 1915. We know by 1918 he was Mechanist Instructor Staff Sergeant working with a mobile Thornycroft travelling workshop behind the front lines. 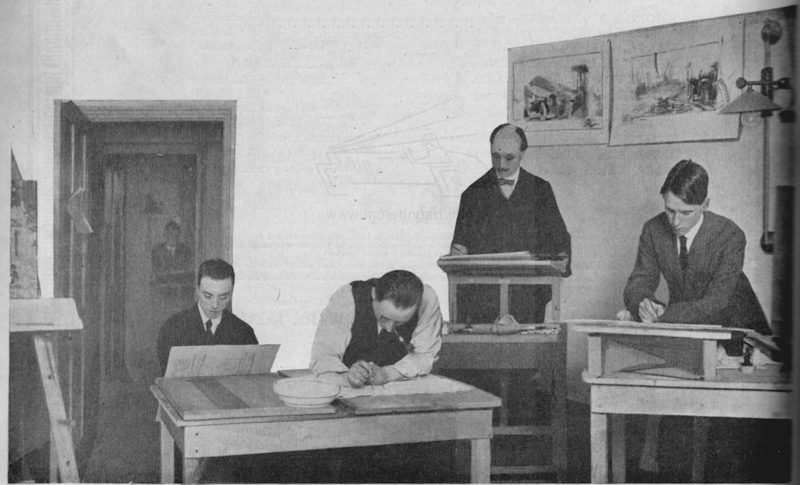 However, he started to contribute letters and sketches to Commercial Motor magazine from 1916. These sketches are of a competent and professional style not the work of an amateur so he must have had some previous art experience. They are signed BOULTWOOD and IN THE FIELD with year, in an oblong box. The only original surviving motoring painting by Boultwood, which I know about, comes from this period and shows a Humber Staff car in a battlefield setting. After the war he must have soon gained employment with The Motor Owner magazine as we start to see his work from 1919. 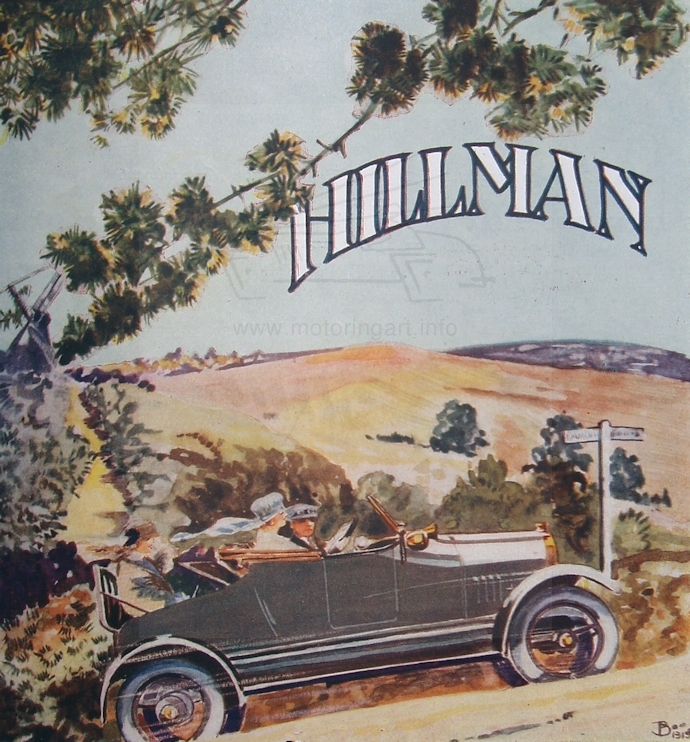 The Motor Owner was a high-class expensive magazine and employed some of the best motoring artists of the time. It is likely that initially Boultwood was an employee, based on the large number of his paintings appearing in the magazine. Together with F T Steerwood they were the main artists. The Motor Owner had an art department where they prepared the artwork for customers. 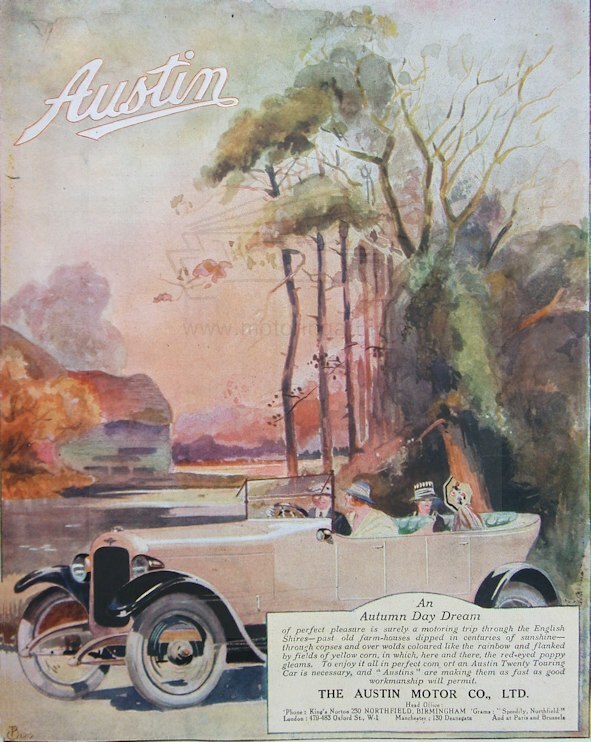 This was mainly in colour as the magazine was an early user of colour advertisements. 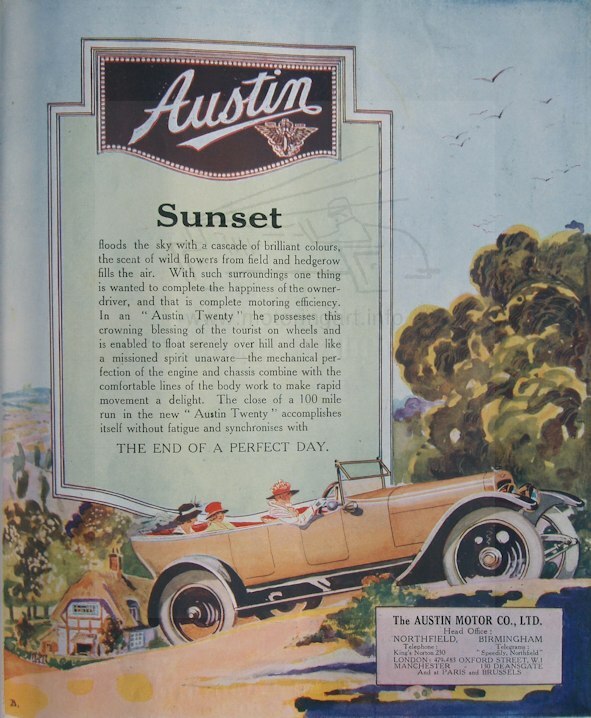 We see his work until the early 1920’s when the number of motoring advertisements started to diminish. I would guess that his employment changed to that of a Freelancer leaving him free to work for other employers. . Most work is signed with a "B" later in the 1920's a monogram with the letters superimposed By the late 1920’s he was living in a large house in Crystal Palace and was a car owner. He had a son in 1921 and a daughter in 1923. However it would seem that times were harder in later life with large swings of good and bad times with steady employment countered by poverty, alcoholism and shell-shock from the war. During this time he took whatever employment there was and it is known that he worked more as an architectural draughtsman than as a motoring artist. He produced drawings for modern housing in Bexley, art deco villas and the paddling pool at Danson Park in the 30's. He died in Lewisham in 1942. Thanks to Julie Boultwood for assisting with information. 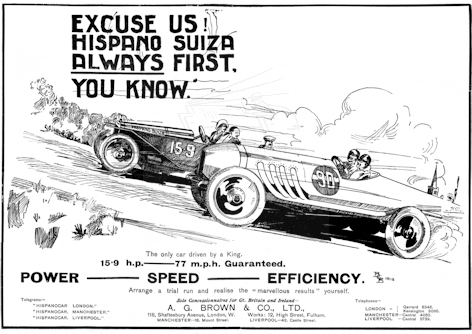 Hispano Suiza advertisement December 1912. Image courtesy of Malcolm Jeal. Signed interwoven BGB. Unloading Ammunition signed Boultwood In The Field. 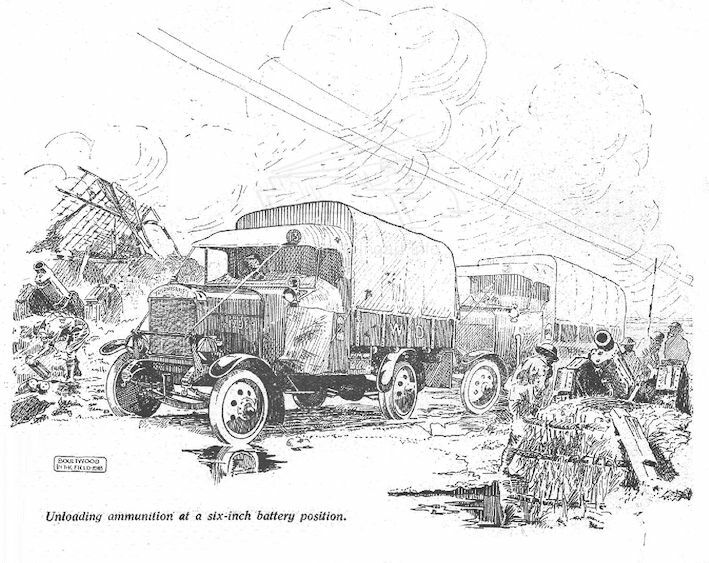 Illustration from Commercial Motor magazine. Photograph of Motor Owner staff. Which one is Boultwood?